Point of sale POS or checkout,during computerization later becoming electronic point of sale or EPOS is the place where a retail transaction is completed. 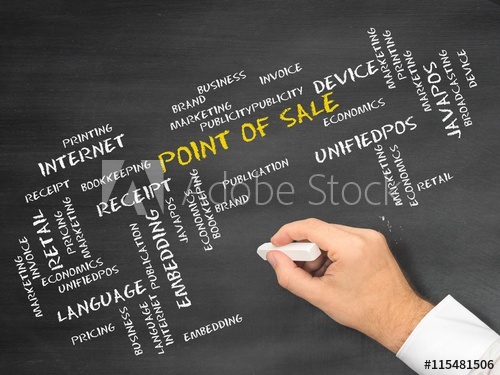 It is the point at which a customer makes a payment to the merchant in exchange for goods or services. At the point of sale the retailer would calculate the amount owed by the customer and provide options for the customer to make payment. The merchant will also normally issue a receipt for the transaction. "Masters" is a module in our POS which is a cluster of 13 sub modules. This module is in some way “heart” of our application. This module deals with the all type of Retailing of sales between the customers and the organization. It serves to define the Categories, loyalty points, pay codes, shelves, racks, Gift Vouchers etc. all these records will be used in all other modules. Every screen or every module has got a unique code which is either auto generated or user defined. This module deals with the principles, practices, and guidelines that an organization follows when interacting with its customers. From the organization's point of view, this entire relationship not only encompasses the direct interaction aspect, such as sales and/or service related processes, but also in the forecasting and analysis of customer trends and behaviors, which ultimately serve to enhance the customer's overall experience. The POS operation module includes retail shop or store, the checkout/cashier counter in the store, or a location where such transactions can occur in this type of environment. It can also apply to the actual Point of Sale (POS) Hardware & Software including but not limited to: electronic cash register systems, touch-screen display, barcode scanners, receipt printers, scales and pole displays. Point of Sale Systems are utilized in many different industries, ranging from restaurants, hotels & hospitality businesses, nail/beauty salons, casinos, stadiums, and let's not forget - the retail environments.